October | 2014 | The Captain Britain fans' page and blog. 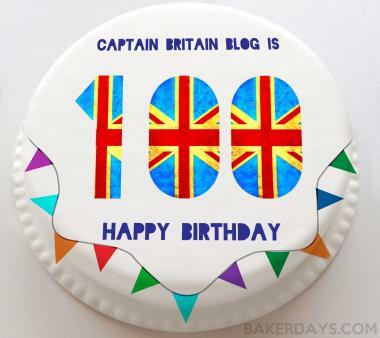 Today is a day of celebration for the Captain Britain Blog as this is the site’s one hundredth post. Yes I am aware it has taken over a year to get to this point, but as I look back at the blog’s history you’ll see why it took so long. The blog launched in June 2013 just as Marvel comics decided to “kill” Captain Britain in their Age of Ultron event. This set the tone for the blog to alternate between happy posts and ones which went into detail on the poor treatment of Captain Britain past and present. Sadly all my Captain Britain negativity got to me and in August 2013 I decide to take a short break to recharge my batteries, some break, I finally relaunched the site in July 2014.The relaunch was an immediate success due to the sites fans helping promote it and visiting figures are now double and even triple compared to when the site launched. 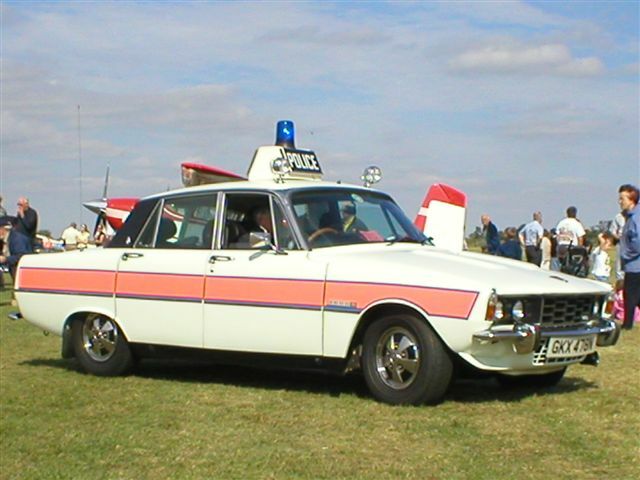 Anyway enough navel gazing lets take a look behind the scenes at the blog’s stats, and see how the site has been doing since it celebrated its fiftieth post. 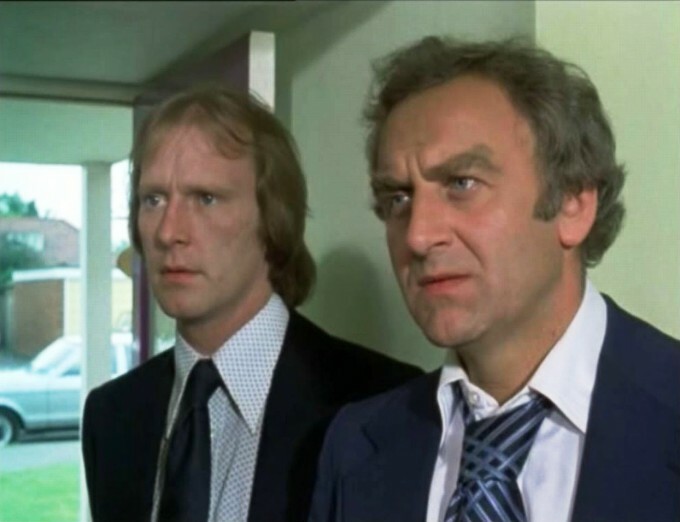 The first stat of interest is about the site’s visitors, as despite this being a blog about a British superhero it welcomes visitors from across the world from Vietnam to Venezuela and China to Croatia. But how do these visitors find the site in the first place? Well after Twitter, Facebook, Pinterest and other people posting links a lot of the site’s traffic comes from Google searches. However some of these searches don’t really seem to be about Captain Britain but the internet throws the traffic this way. Here are some of the more odder search terms that bring people to the blog. The delectable Sophia Myles doing none of the above. Hmmm those search terms have a bit of an odd trend there, let’s quickly move on to some more…. 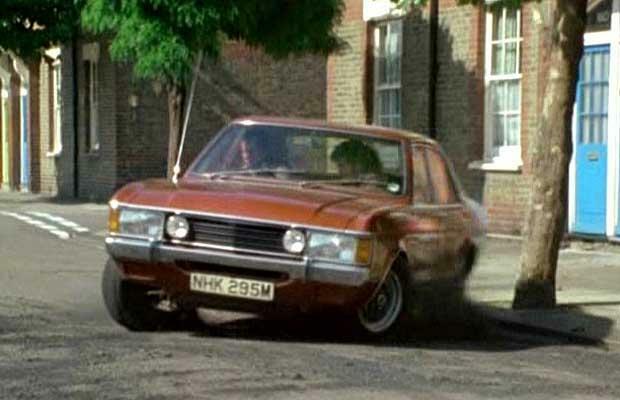 Blimey it’s got worse. OK, the site doesn’t get the majority of its readers through these terms I just thought they were funny, and I wonder what the person who typed them felt when this blog popped up! So once here what do people like to read? 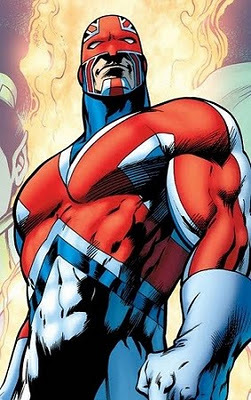 Well when the site celebrated it’s fiftieth anniversary the most popular post was about last years Marvel UK revival, now it’s the post about my views on why we need a Captain Britain movie. Other popular posts folks like to read include another one I wrote about how I would cast a Captain Britain movie, which is where the Sophie Myles searches end up, and this Captain Britain quiz from the Seventies about flags. While we’re on the subject of posts I still need help to solve the mystery of where my Captain Britain badge originates from. Or you could read what is the funniest and cleverest Captain Britain cameo – in my opinion. Looking to the future for the blog I plan to keep writing about Captain Britain until I run out of news and ideas, and given that Cap is currently taking center stage in Time Runs Out this might not be for some time. 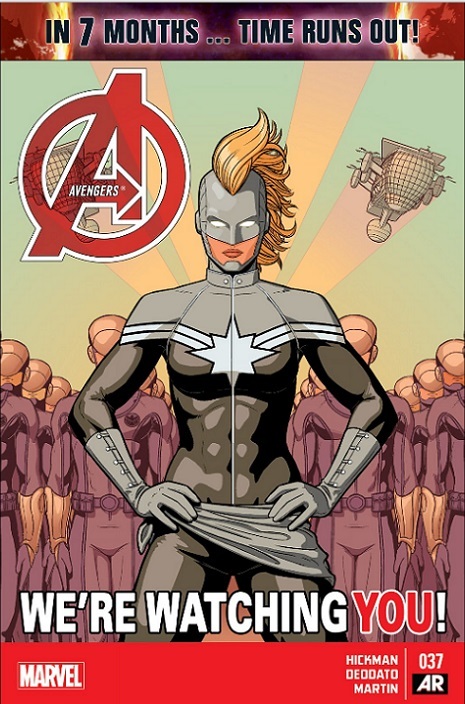 I may if bereft of Cap ideas review other comics that I think may interest readers, but there again I may not, that idea is still on the back-burner. If you have any Captain Britain news send me a link via twitter @skaggypoet or post it on the Facebook wall of the Captain Britain Blog. You never know depending on what it is I may write a post about it – and I always credit the source! Also if you write about or draw Cap and want to be featured on the blog in a post like this, then please do the same thing. Anyway it only remains for me to thank my readers for supporting the blog, thanks for all the retweets, repins and Facebook shares you have so generously provided. Here’s to the next fifty posts and hoping that they come around a lot quicker this time. 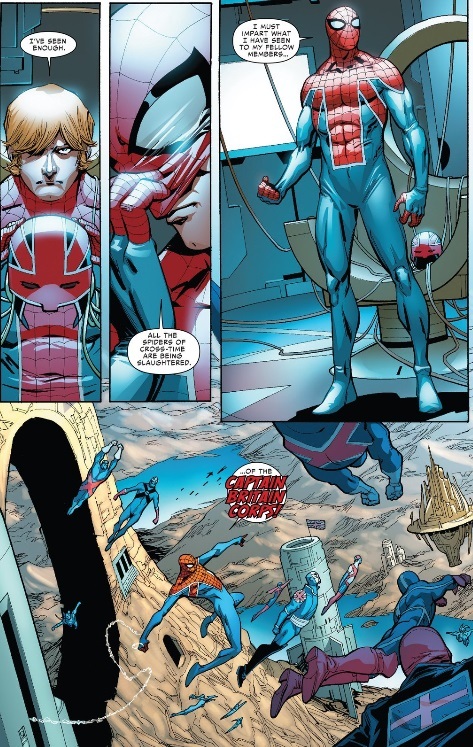 Come on Marvel let David Golding draw Captain Britain please. Here on the Captain Britain blog we are always on the look out for great artists who might have never drawn Captain Britain professionally, but have still drawn him simply out of their love for the character. So for that reason today I wanted to highlight professional artist David Golding who while he has done lots of comics work and released a book, has never drawn Captain Britain for Marvel, much to my disappointment. 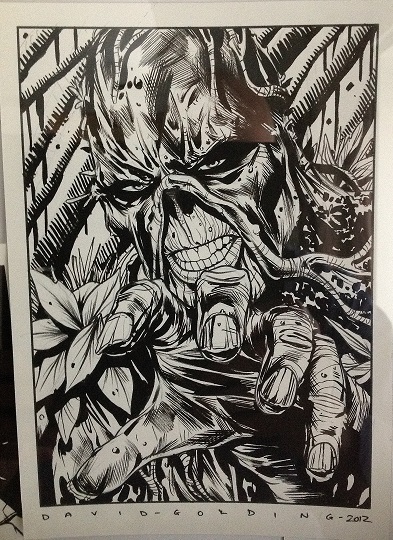 I first stumbled upon David’s work in 2012 when I bought some sketches from his Ebay shop one of which, a great looking Swamp Thing, is pictured below. I began to follow David on Twitter hoping to pick up some more of his art when I noticed he was doing copies of comic book covers, of which one of his current ones follows. But what really caught my eye was David’s version of a Captain Britain cover of which he was happy to provide a high quality picture so it could be shared with the blog. Click on the pic to see it in its full glory, and check out more of David’s work on deviantART here. A stunning picture you might agree and that’s right David did send me a photo of the art and his Spider-Man cover to use in this post. Why? Well I asked him if he would as to celebrate the release of his new book I decided the world of Captain Britain fandom needed to know more about his work, as it’s too good not to share. The book is, The Greatest Comic Quiz Book in the Multiverse, 200 pages of comic book questions that covers American comics from their humble origins right up to the present day. Before I talk about the book take time to admire the painted cover, the style of which to me is comparable with Alex Ross. 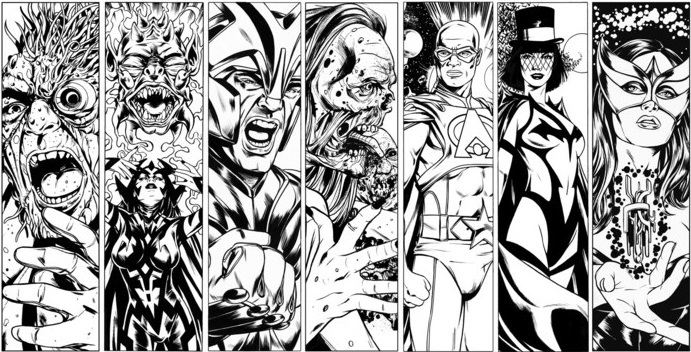 Inside David has peppered the book with great black and white sketches of all sorts of super heroes, and this use of a variety of styles highlights just how bloody good he is at drawing. I took the time to test myself on some of the questions in the quiz book and find myself having to issue a warning to anyone like me who prided themselves on being a bit of a comics guru, this book will soon have you eating humble pie. But in a fun way. So more power to the pen of David Golding a man whose work I would love to see on the cover of a new Captain Britain comic or inside, hell I’m not fussy I’ll take both. 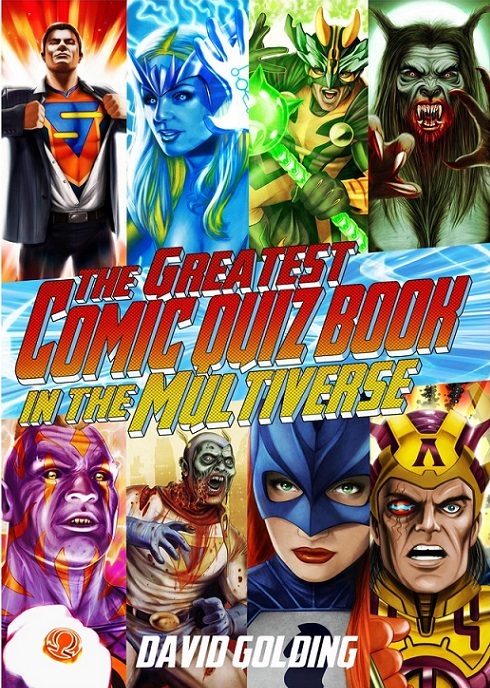 Fancy yourself a comic’s mastermind then you can pick up a copy of The Greatest Comic Quiz Book in the Multiverse here. Or if you taste runs to comic book art order a reproduction of your favourite comic book scene/cover from David here. 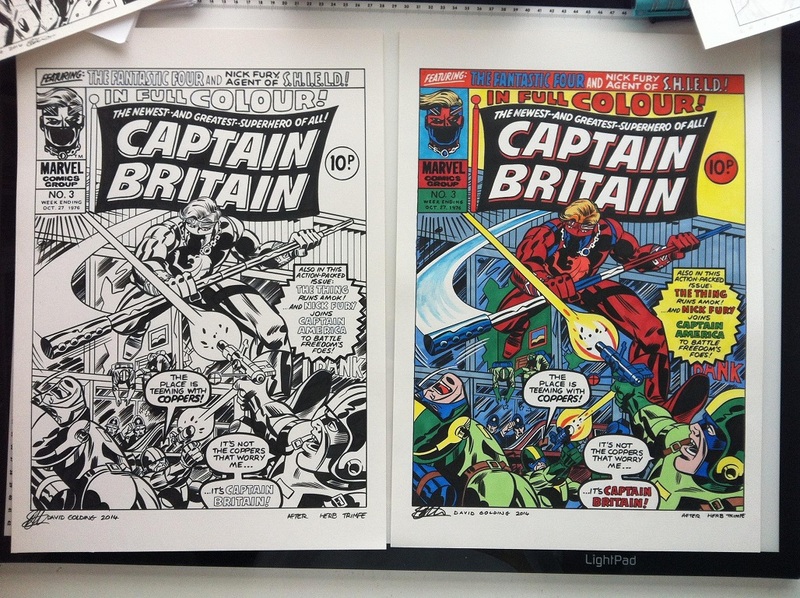 Do you know an artist or perhaps you are one yourself who draws Captain Britain and would like to share work with this blog and it’s readers? Then why not send me the relevant details by leaving a comment below. To keep up with all the posts on this blog you can follow The Captain Britain Blog on Facebook, or on Pinterest, or subscribe to this blog by entering your email in the link top right. 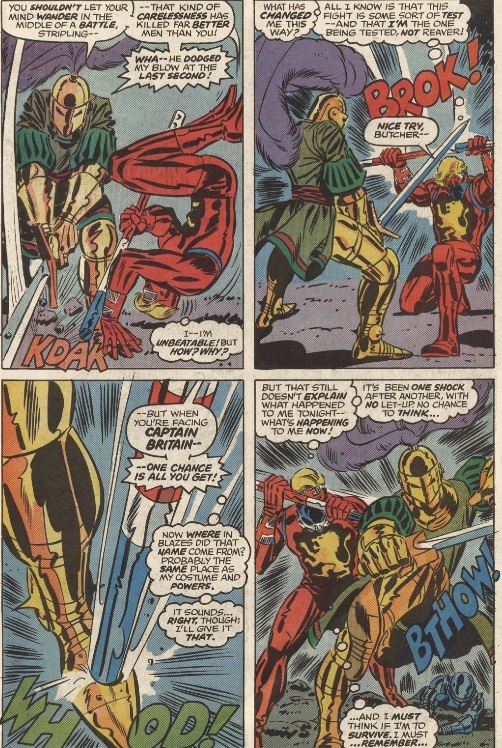 In this week’s Avengers 37, Captain America tries to blackmail Captain Britain. 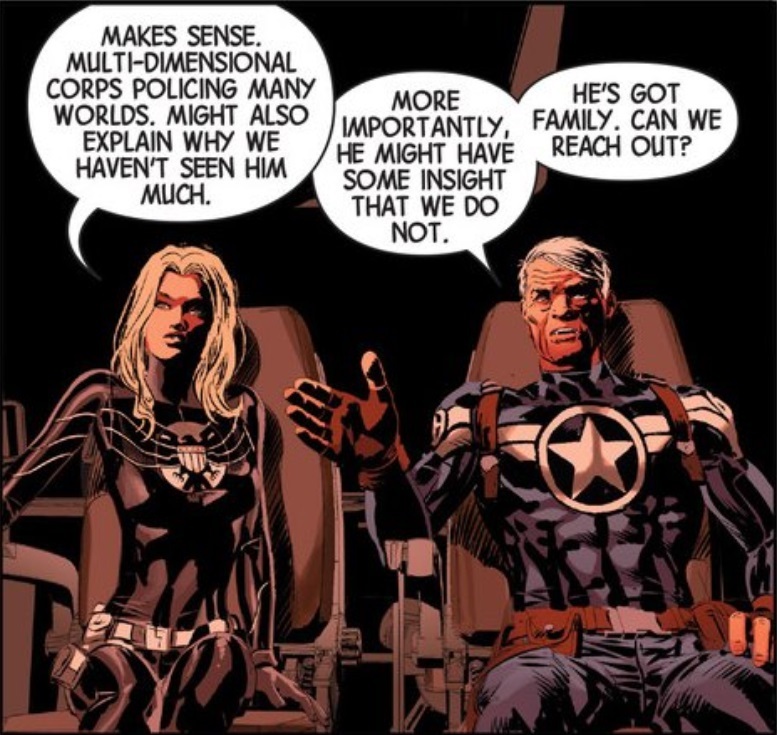 So continuing our coverage of the Avengers current event, Time Runs Out, and the involvement of Captain Britain we come to this weeks Avengers issue 37 by Jonathan Hickman and Mike Deodato. Last week’s New Avengers – covered here – saw a different Captain Britain enter the picture, how will he fare in this weeks story? Please be aware this article includes spoilers for this week’s Avengers 37, if you haven’t read the issue yet then do not carry on reading after the picture. 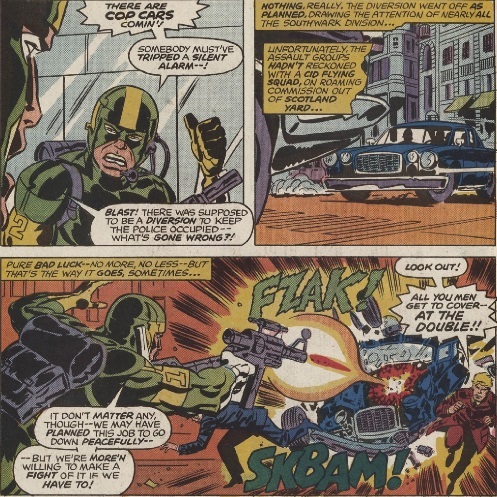 SHIELDS’s attempts to locate Captain Britain and the Illuminati come to naught as Hawkeye arrives to apprehend them just to late to be effective. I’m sure Hawkeye being left with egg on his face would make Captain Britain very happy due to their past history, which I covered here. 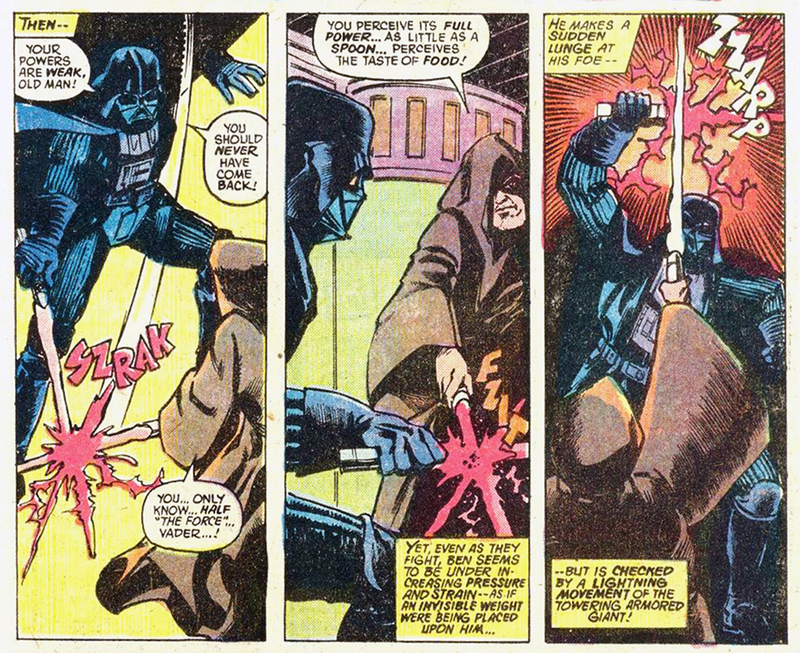 Anyway because of this Captain America plots an underhand idea when he learns of Captain Britain’s presence. 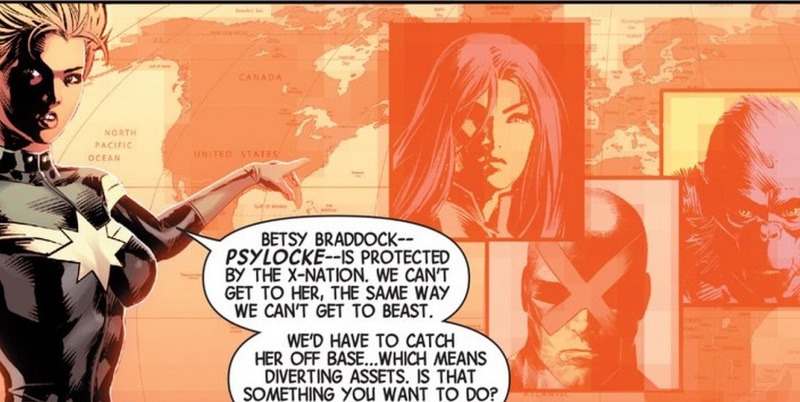 It’s interesting to note Shield’s files make no reference to Captain Britain having only one eye so we are still in the dark about how this “accident” befell Cap. 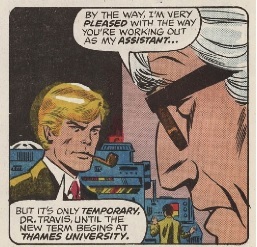 The files also seem unaware of the fate of the Captain Britain Corps. Now is that reach out or threaten Captain America? Considering the desperate situation writer Hickman places SHIELD in, I’m going with threaten, and who is Captain America considering? Luckily Captain Britain’s sister seems safe for now. So Time Runs Out continues in great form; even though Captain Britain is only in one panel the way he is used and commented on is intriguing. Also the mystery of his disfigurement is still unsolved and as conflict between SHIELD and the Illuminati draws ever closer I’m hoping for another Captain Britain and Captain America fight soon. Stay tuned to The Captain Britain Blog as we continue to cover Cap as he appears in TIme Runs out. 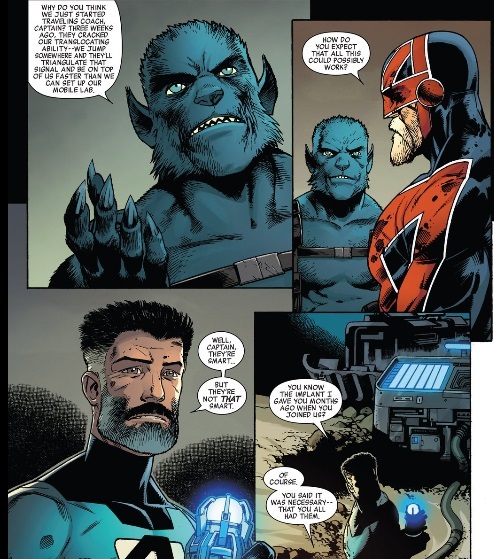 Captain Britain in today’s New Avengers 25 – that’s a fine beard. So I’ve been covering The Avengers current event, Time Runs Out as Captain Britain was advertised as appearing, and apart from one brief mention Cap appearances so far have been at a minimum. So imagine my surprise when I picked up today’s New Avengers 25 and there is Captain Britain – at last. 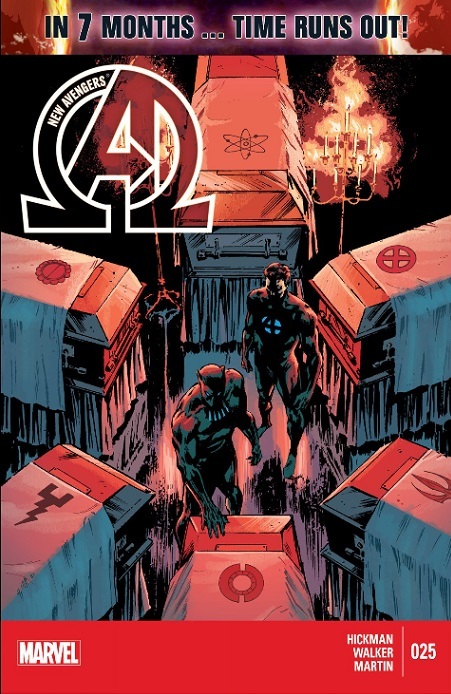 Want to know more continue reading after the picture – beware the post contains spoilers for this weeks New Avengers 25. This week Hickman finally lets us in on the fate of the Illuminati of which Captain Britain was shown to be a member when Time Runs Out debuted, and things are not looking good for them especially Cap. So there seems to be no Captain Britain Corps left, and what happened to Cap’s eye and just what does that patch conceal? 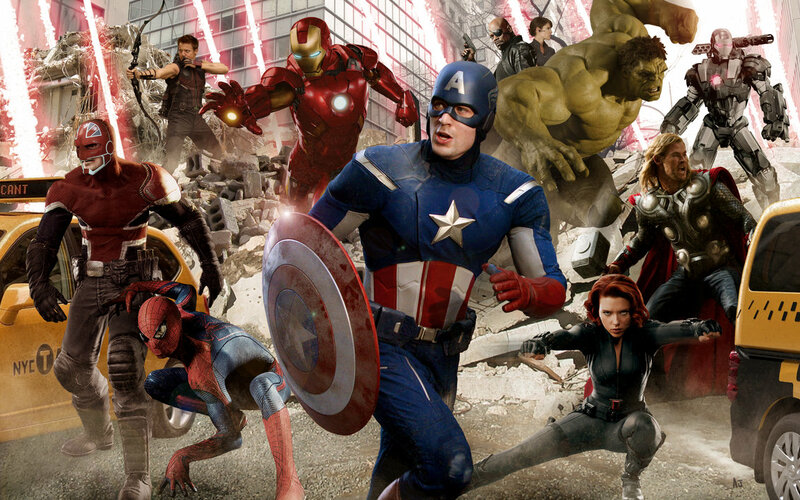 Even worse everyone – except the Hulk seems to have beards! OK it’s hard to tell if Beast has a beard but he does look shaggy. The Illuminati are in a bad shape and the comic reveals they have their backs against the wall and are seemingly considering desperate measures to survive; Hickman has again done a fine job scripting a tense story which I will keep on advising folk to check out. 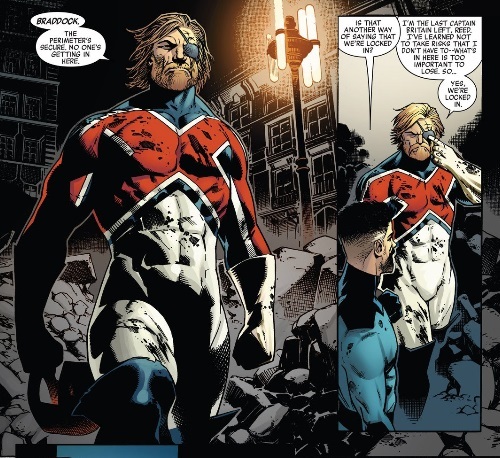 Walker draws a suitably haggard Captain Britain and fans are going to be left guessing the fate of his eye and every other Captain Britain in the multiverse. So if you like Cap crossovers I would say keep picking up Time Runs Out, and keep following the Captain Britain Blog for future Cap crossover developments. Happy Birthday Captain Britain, I still remember the time we first met. Today is a great day for Captain Britain fans as on this day 38 years ago the UK’s best hero made his debut in Captain Britain issue 1, so you could say today is Captain Britain’s birthday. That idea got me thinking about why so many people like me have strong feelings about Captain Britain, and why despite his erratic treatment at the hands of his creators at Marvel Comics people still love him. What is it about the good Cap that makes me take to the internet and write about obscure details of his chequered career, instead of writing about The Fantastic Four or Daredevil – two of my other long-term Marvel faves. Well to understand how I came to love Captain Britain it makes sense to start at the beginning with just how did I come to own my first Cap comic? Way back in the mid nineties I was an avid comic book fan but my wages of the time didn’t allow much choice when it came to my weekly pull list, a list that was 99% Vertigo comics. This meant I tended to look down my nose at spandex adventures as I was a mature reader! Also limiting my comic choice was the fact that my money was tight which meant I often would forgo a visit to the comic store to visit a second-hand book shop in Birmingham which had a large second-hand comic selection – it was called Readers World. Reader’s World was a chaotic mix of books, magazines, comics and a whole lot more. Shelves overflowed onto the floor, long boxes were scattered liberally around the shop and every available space bulged with items for sale. 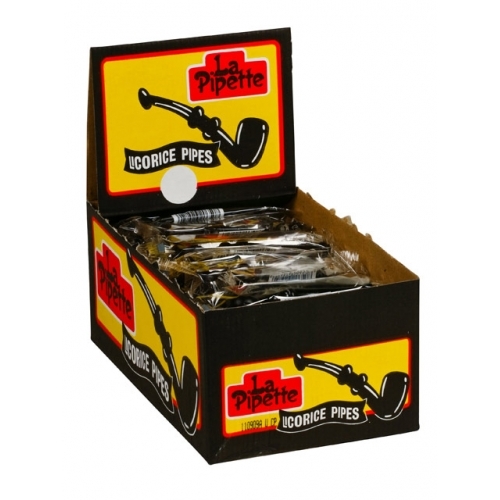 The shop seemed to me to have a fine disregard for the alphabet and finding what you were looking for was often impossible, but gems discovered in the shop were all the more pleasurable for this. 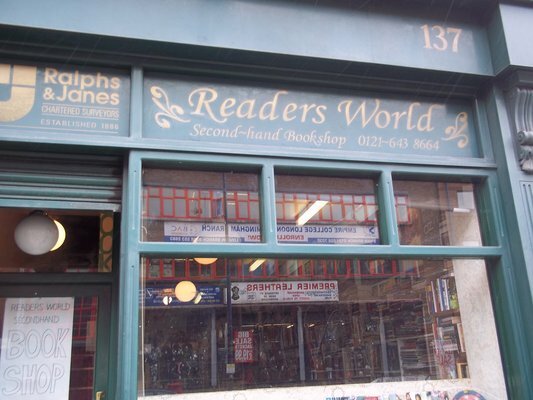 My most prevalent memory of the shop was that musty dusty paper smell that a lot of second-hand shops seemed to have but none had such a musk as Readers World. Anyway on one of my trips to Readers World fresh from a diet of Watchmen and V for Vendetta I came across a battered Captain Britain comic – I can’t remember the exact issue – where I was surprised to see Alan Moore listed as the writer. Without paying for it I read it – times were hard remember – and I was instantly drawn to the action and the dialogue; this was superheroes as they should be done I thought. So began my quest to piece together more Cap Moore, but as those were the days when trade paperbacks were few and far between my Captain Britain collection grew in a patchy fashion. Cap appearing in Excalibur helped as Marvel put out a trade of some of his pre-Excalibur adventures then Moore’s Crooked World was collected. I snapped up any Cap comics I could find, and started reading Excalibur. This helped as my love for Cap blossomed to the point where as I said earlier I tend to be obsessive about him, but I like to think I do it in a well-mannered and British way. But what was it that made me want to read more Cap what was it that made me want to buy that torn and tattered comic languishing in the bargain box of a second-hand shop, and hunt for more. I’m going to try to pin it all down with a list. As I said I was a Vertigo collector, and because of this I tended to look down my nose at superhero comics and might have done so with Captain Britain if anyone but Alan Moore had been the writer. But the fact that such a writer with a distinguished pedigree wrote spandex adventures meant they couldn’t all be that bad I thought. So my comic book snobbery actually had a positive effect, and instead of retreating into more and more obscure books I took a bold step out into the colourful world of superheroes and found out I had been missing a lot. If it wasn’t for Captain Britain I might never have tried Batman, Captain America and many more. So that’s one of the reasons I love Cap so much; he was my first real superhero. Next, oh that Davis art. A lot of early Captain Britain was drawn magnificently by Alan Davis, and his fabulous eye candy certainly was a draw to Cap’s adventures. Because of this I was more than willing to move onto Excalibur and continue revelling in the art I had come to love, despite its early issues confusing links to X-Men continuity and poor treatment of Cap. I needed to take a Vertigo break. Vertigo was and still is an exceptional line of mature reader comics, but bloody hell they could be depressing quite a lot of the time. Looking back to my constant diet of Sandman, Hellblazer, Swamp Thing, Doom Patrol and Shade I’m not surprised I embraced Cap as his adventures were the polar opposite to the Vertigo anti-heroes. I started to read comics where yes the good guys might get a bloody nose, but they were nowhere near as depressing as my previous comic choices. Cap cheered me up and while I have no less respect for Vertigo and still buy their wares I needed a change, and that’s what I love about Cap is that he brought this into my comic book world and probably kept me collecting and enjoying comics long after I might have become jaded. So there you go that’s why Captain Britain is my favourite superhero and why I’m writing about him today and will continue to keep writing about him until I run out of ideas. I still read Vertigo comics by the way, it’s just now I have a lot more varied choice in my comic book collection and that can only be a good thing. 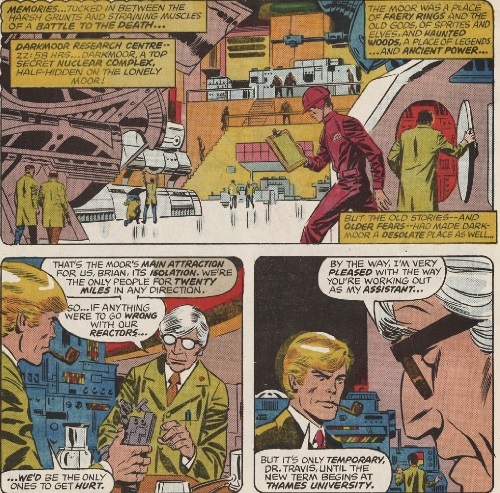 Join me later in the week when I take a sideways look at Captain Britain’s debut issue and examine just how much his origin was influenced by the decade I myself grew up in , the Seventies. Until the why not join me in wishing Cap happy Birthday and sign off in the comments below if you have any Cap memories you wish to share. To keep up with all the posts you can follow The Captain Britain Blog on Facebook, or onPinterest, or subscribe to this blog by entering your email in the link top right. 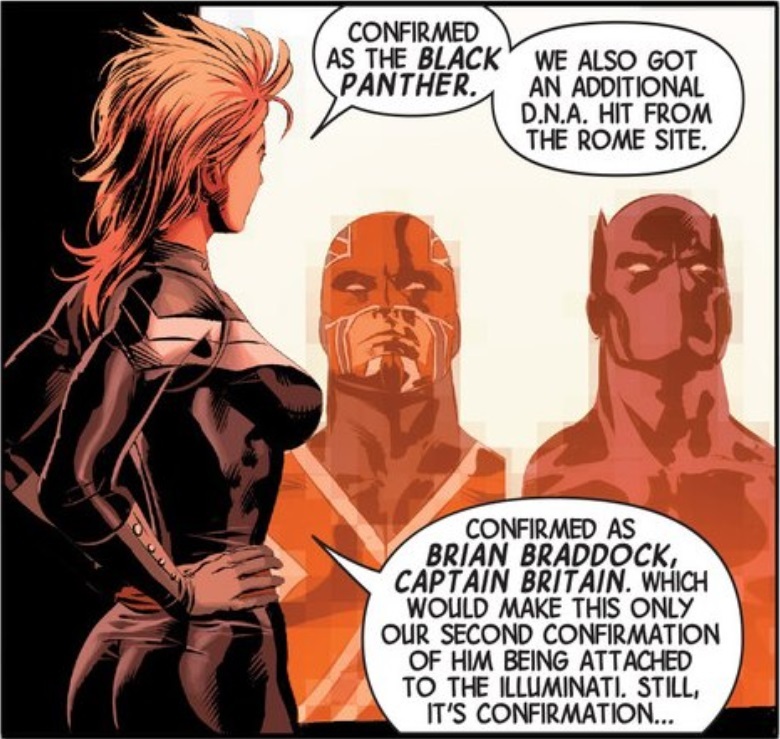 So what’s the Captain Britain connection in this weeks Amazing Spider-Man? In this weeks Amazing Spider-Man issue 7 Marvel finally reveal Spider-UK, and his connection to Captain Britain and the rest of the Marvel Universe. Spider-UK Marvel have previously revealed is part of the build up to the Spider-Verse event called Edge of Spider-Verse. Spider-Verse is all about Spider-Villain Morlun and his group of evil side kicks called The Inheritors who have set out to kill every single iteration of Spider-Man that exists across the Marvel multiverse. Edge of Spider-Verse is a series of stories introducing us to many of the alternate versions of Spider-Man who will be fighting back. Warning spoilers about Amazing Spider-Man issue 7 follow straight after the picture. 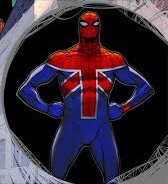 Spider-UK aka Billy Braddock exists on Earth 833 where sensing a disturbance in the omniverse he detects Morlun’s evil scheme. Being a decent chap Billy won’t sit back and with the help of Lady Roma is given the power to cross dimensional boundaries to aid Spider-Man. If all this sounds a bit short then it’s because Spider-UK is only an 8 page back-up story in Amazing Spider-Man, and at the end we are promised more of him in Spider-Verse when the main event starts soon. As the story is only 8 pages long it’s hard to make any detailed comment other than I like the idea of a version of Spider-Man also being a member of the Captain Britain Corps. I’m also secretly hoping he might meet Captain Britain on his travels, and I’m sure Spider-Man scribe Dan Slott could do such a scene justice. 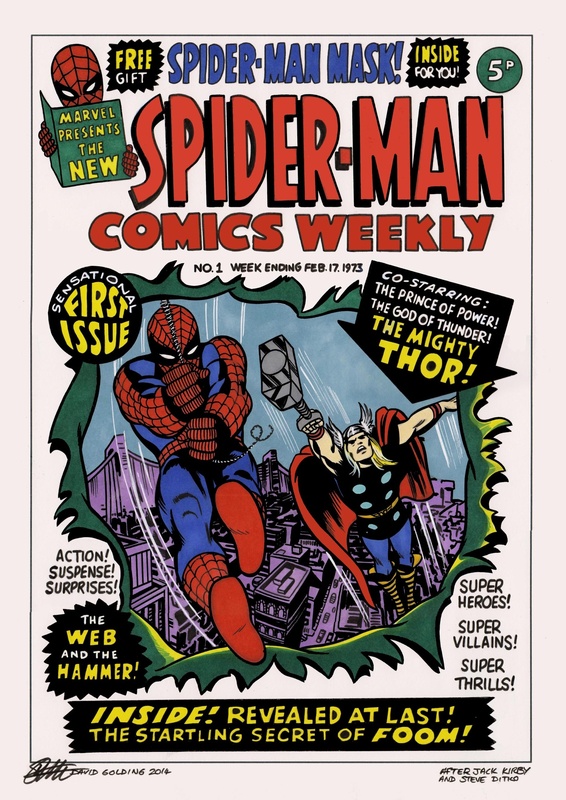 Interestingly last week I tried to dissect the preview images from Amazing Spider-Man 7 and got it all wrong, which you can read about here. I’ll keep a look out for more on Spider-UK and report on how he fares in Spider-Verse when he appears.